Community Garden – We are – Roots on the Roof! 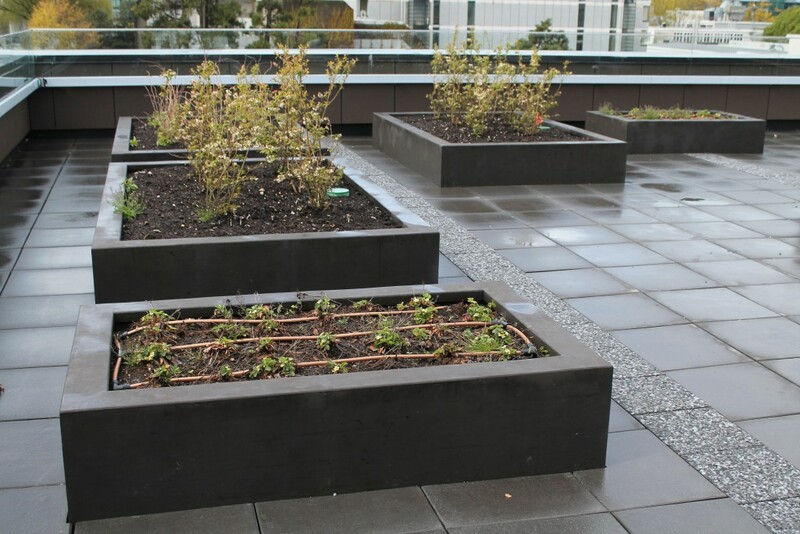 In addition to the main rooftop garden, our club manages the rooftop’s community garden, made up of 5 communal garden plots beyond the fenced garden. Before the beginning of each growing season, available spots in the community garden are announced and club members can apply to join the community garden for that season. 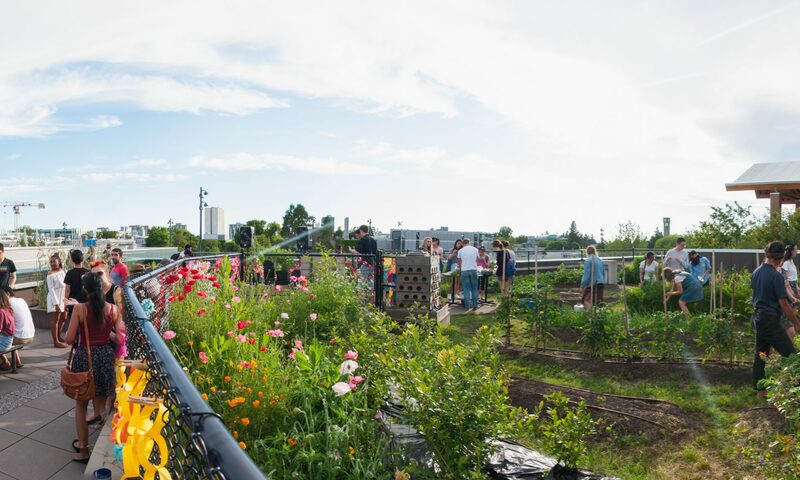 Club members who sign up for the community garden are grouped with other community gardeners and get direct hands-on experience and support with planning, growing, and harvesting their own plants and produce over the course of the growing season. It’s also a fantastic way to connect with other local gardeners in the community and share your knowledge around food and gardening. Please contact us by email if you are interested in signing up for a spot in our community garden.